You really know spring is here when you start to see fresh asparagus for sale in your supermarket. Almost everyone loves the taste of asparagus, but you probably didn’t know just how truly great it is for your body. Well, get ready to be shocked by these top 10 things you never knew about this skinny little green springtime veggie everyone loves. Due to its anti-inflammatory and antioxidant compounds, it’s no wonder that asparagus has very strong anti-cancer benefits. 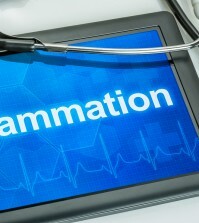 Many cancers thrive in body’s that have unnecessary inflammation and/or ongoing oxidative stress. There have been many studies done on animals that show that asparagus, and its extracts, have dramatic effects on cancer cells. 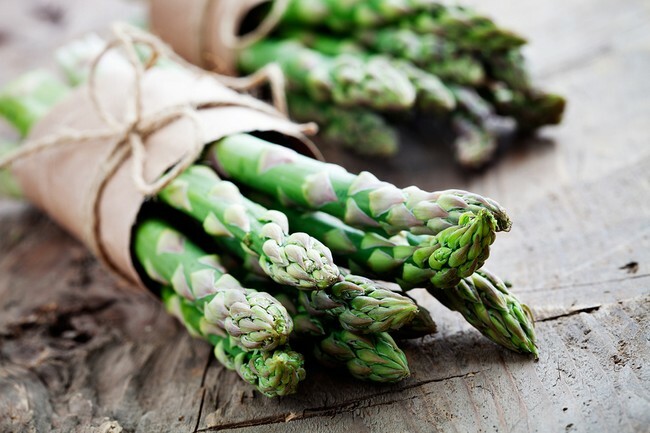 It’s been discovered that asparagus can actually change the metabolic activity of numerous types of cancer cells. As we mentioned above, asparagus is a terrific food for fighting inflammation. The active ingredients within asparagus are called saponins. One of these saponins, one in particular, sarsasapegenin, has scientists very interested as they believe that the death of certain nerve cells in the body is due to excessive inflammation, and this means, possibly, that excessive inflammation is playing a role in ALS diseases, also known as Lou Gehrig’s Disease. Asparagus is also very high in a wide variety of antioxidants including vitamin E, vitamin C, beta-carotene, zinc, manganese, and selenium. Antioxidants are some of the best risk reducers for chronic health problems such as diabetes and heart disease. Find out antioxidants rich foods. Asparagus is unusual in its support for the digestive system. One reason is due to its high inulin content. Inulin is a unique type of carb that is doctors often call a prebiotic. Unlike most other carbohydrates, inulin isnt’ broken down by the stomach. Not until it arrives at the large intestine does this process begin. This might not sound like a good thing, but it actually is because once it’s at the large intestine it becomes a food source for all kinds of the good bacteria that live there. Higher levels of these types of bacteria are associated with better absorption of nutrients, lower risk of colon cancer, as well as lower risk of developing allergies. 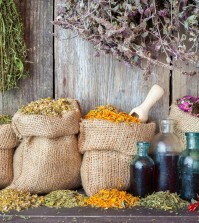 Read also about reasons why your digestive system is out of whack. Asparagus has an amazing amount of B vitamins such as folic acid, B1, B2, B6, as well as niacin, pantothenic acid and choline. B vitamins play a very important part in the regulation of homocysteine. Homocysteine is an amino acid which, when it reaches excessive levels in the blood, greatly increases your risk for heart disease. The same B vitamins mentioned above are also good for helping to regulate the blood sugar levels in the body. Asparagus is also high in fiber and the intake of dietary fiber has been repeatedly shown to lower the risk of developing diabetes. Asparagus is simply packed to the gills with nutrients. 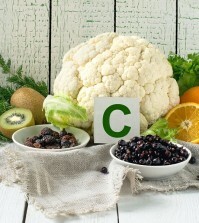 Besides all the B vitamins mentioned above, there is vitamin A, C, E, and K, along with folates, copper, selenium, phosphorus, potassium, iron, and essential amino acids. Like kale, avocado, and Brussels sprouts, asparagus is a super-rich source of a compound called glutathione. This substance is a known detoxifier that breaks down carcinogens and other harmful cells in the body such as free radicals. Eating more asparagus can help fight and protect you from certain forms of cancer, as well as slowing up the aging process. Another property of this tasty spring veggie is that it can help our brains fight cognitive decline as we age. It’s that multitude of B vitamins at work, along with healthy levels of folate. Our bodies have a harder time absorbing B12 as we age, so if you’re over 50, be sure you are getting enough B12. Eat more foods like asparagus and take a supplement if you need to. The high levels of the amino acid called asparagine in asparagus make it a natural diuretic. This is a good thing because increased urination not only releases fluid but it helps rid the body of excessive levels of salts. This is good for those who suffer from edema or those with high blood pressure. Asparagus is high in vitamin K, which is super important for not only the healthy clotting of blood, but for strengthening bones as well. Green asparagus is much healthier for you than the white or purple kind. The nutritional benefits are in the stalk as well, so be sure to eat the entire plant to get all of its goodness.